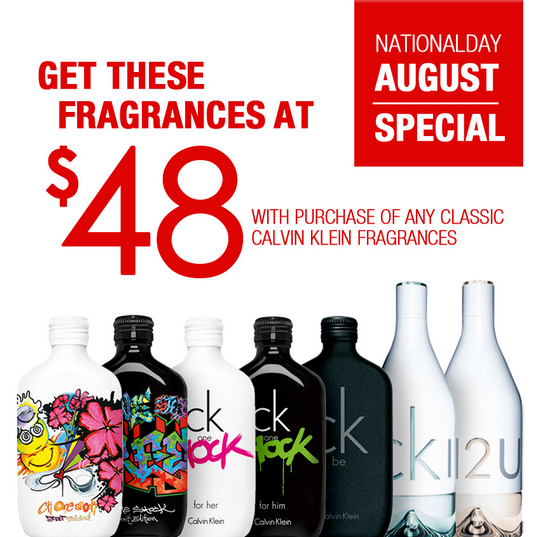 Celebrate our nation’s 48th birthday with CALVIN KLEIN fragrance deal in the month of August! Purchase a classic CALVIN KLEIN fragrance (100ml) at full price and get any of the selected CALVIN KLEIN fragrance (100ml) at $48 only! Valid now till 31 August 2013.